East Sussex lies in the South East of England and is one of the oldest counties, dating back to the 5th century AD when it was settled by the South Saxons. Being a coastal county, it was often a staging point for inland raids by invading armies and has had its industrial roots in fishing and wool exports. One of its most famed attractions is Beachy Head, which is the famous chalk cliff visible from the British Channel when crossing by Ferry from Calais to Dover. The famous Battle of Beachy Head took place here in 1690, a nine-day naval fracas between England and the Netherlands. East Sussex is only a few hours by train away from London. 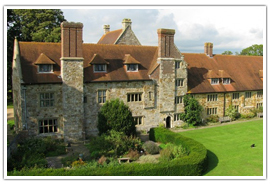 East Sussex is the 33rd largest county in England out of the 42 and has some interesting and historic places to visit. The average age of residents is now declining. 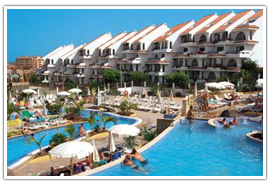 Popular attractions here are the long, sandy beaches, parks and gardens as well as the pier and the many bars and arcades dotting the seafront. The site of the famed “Battle of Hastings”, which was the start of the Norman Conquest of Britain, there is plenty here for tourists to see. 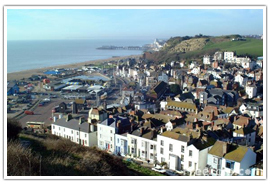 Visitors to Hastings are treated to East Hill Cliff Railway, the White Rock Theatre, Battle Abbey, and Fairlight Glen. 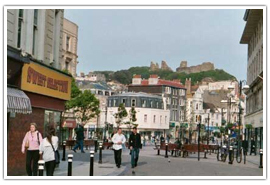 Shopping in Hastings is excellent, and its people are noted for being warm, hospitable and friendly. Views of the coast from Hastings are excellent, with Fairlight Glen being top of the photographic opportunities list. 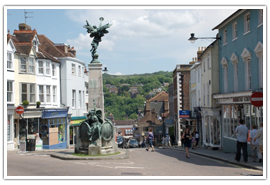 Lewes is the county town of East Sussex, with its roots in Roman settlements. Attractions in Lewes include the famous Plumpton racecourse, Anne of Cleves’ House, the beautiful Lewes Downs and the wonderful old fortified Lewes Castle and Barbican house. The Glyndebourne Festival is also housed here which is a favorite among classical music lovers, its shows including Don Giovanni, Der Rosenkavalier and many more. 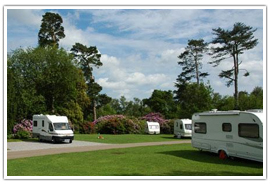 There are some simply exquisite parks and gardens in East Sussex, with stately homes and castles in the finest English tradition. Herstmonceux has its roots in Norman History, with a Norman nobleman, one Ingelram de Monceux building the original manor house in the 12th century. 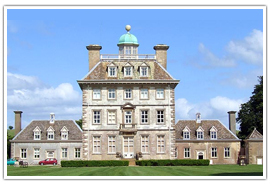 It has beautiful, well-tended flower gardens and lawns, and holds events year round, including the Jaguar Enthusiasts rally, pianist concerts, theatre productions and much more. 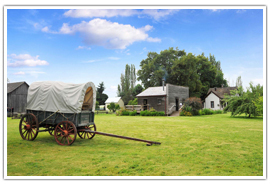 Heaven farm is over 600 years old and boasts some beautiful parkland, along with its Bluebell Nature Trail and rural life museum. 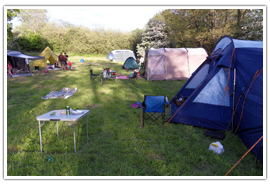 The farm also has a crafts shop as well as a campsite for tents and caravans; their organic farm shop has tasty fresh produce available daily, year round. 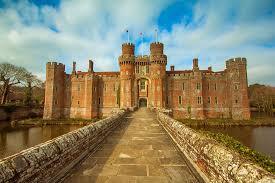 There is a lot to see and do in East Sussex, is so richly steeped in history and important military events. 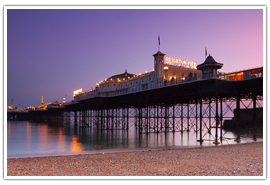 Brighton Pier is an iconic seaside location, with a unique history. Among the oldest in Britain, it was built in its first incarnation in 1823 and was known as the Old Chain Pier, a landing point for passenger ships coming in from Dieppe in France. 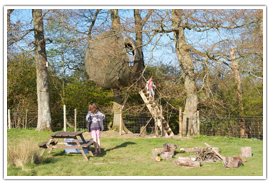 An outdoor center in Newhaven, East Sussex, Paradise Park is absolutely stuffed to the gills with things to do for the whole family. There is “Playzone” for children with its wooden fort and curly slides, the Planet Earth Museum, as well as the beautiful garden center, and not forgetting the Paradise Gardens with their lush varieties of formal and informal arrangements. 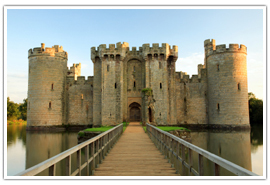 East Sussex is a family hotspot in Britain, with a multitude of days out available and hundreds of local attractions to visit. 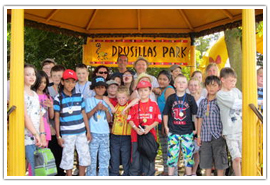 Drusillas Park is a small zoo and animal park in Alfriston, East Sussex. 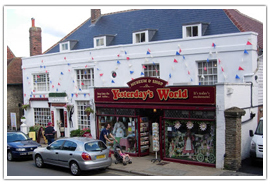 It was founded in 1922 as a tea room by the late Captain Ann to sell tea to passing motorists. They have won several business excellence awards and boast a fantastic collection of animals in very well kept simulated habitats from around the world. 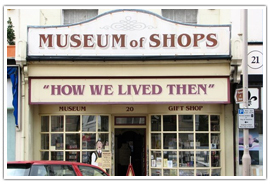 “How We Lived Then” is a social history display, showing shopping and history in Eastbourne over the last 100 years. It boasts an incredible collection of almost 100,000 artifacts and is laid out on four floors of shops, cafes, and galleries. 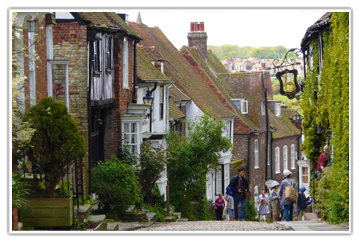 The history of Battle, East Sussex is displayed in beautiful street scenes, with life-size displays showing visitors exactly how life looked over the last thousand years. Sunny East Sussex has a lot of lovely old tea rooms for tourists to sample, with fine food and drink a given. Ashdown Park is a stunning country house hotel and has seen service as a hotel, hospital and a convalescent home for First World War Soldiers. This Oriental-themed building has stood in Brighton for the past 200 years, and with its absolutely beautiful interior is a wonderful setting for a spot of afternoon tea. Eastbourne’s Grand Parade wouldn’t be half as grand without the Cavendish and its exquisite afternoon tea. 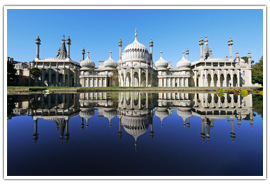 East Sussex is known as a sunny county, with rolling hills and hidden hamlets. There are stunning wedding venues to be found here, and here are a selected few. The magnificent Grand Hotel stands proudly gazing out to sea in Eastbourne, East Sussex, and offers a simply stunning venue for weddings. 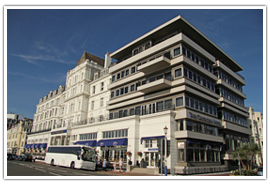 Also known as “The White Palace”, the hotel itself commands wonderful views of Beachy Head and the sea proper. 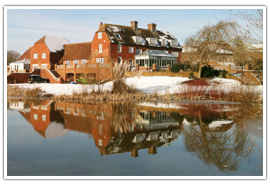 Milwards House is a secluded old 16th-century building, with a beautiful balcony looking out onto a gorgeous lake and garden. It is perfect for those wishing to hold a peaceful ceremony and is framed by picturesque countryside views of the Sussex Downs. 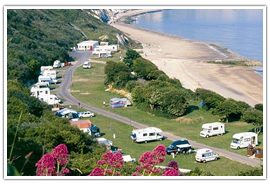 East Sussex is a picturesque county, and it’s no wonder that a multitude of campers and caravan owners come here every year.